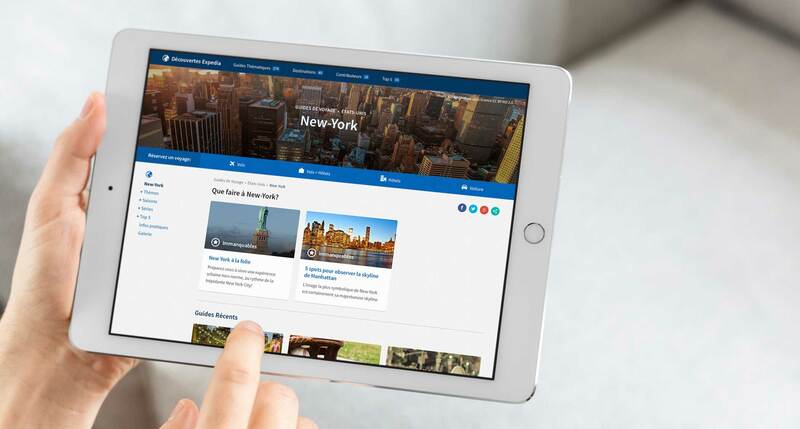 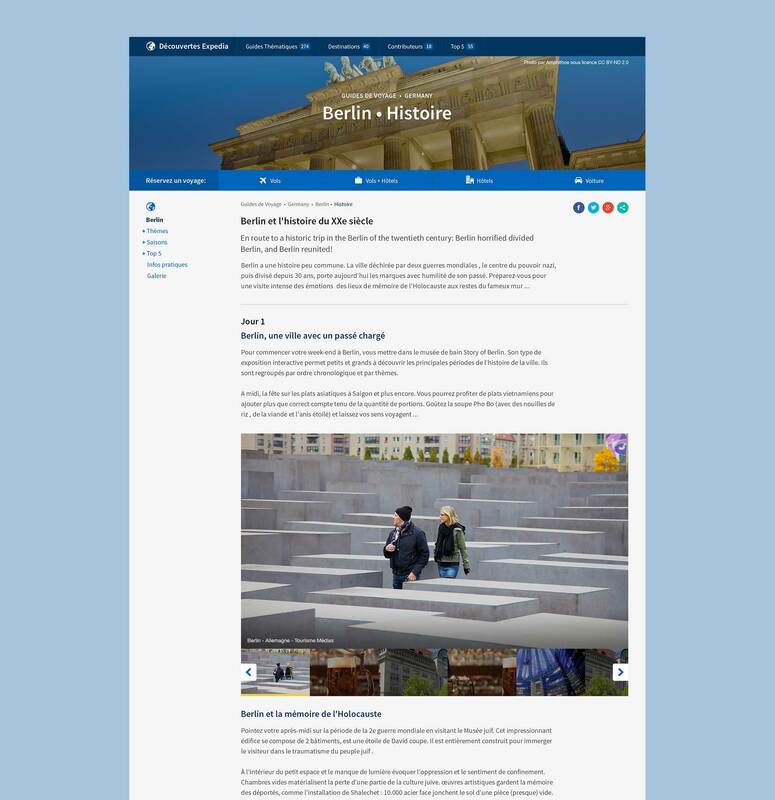 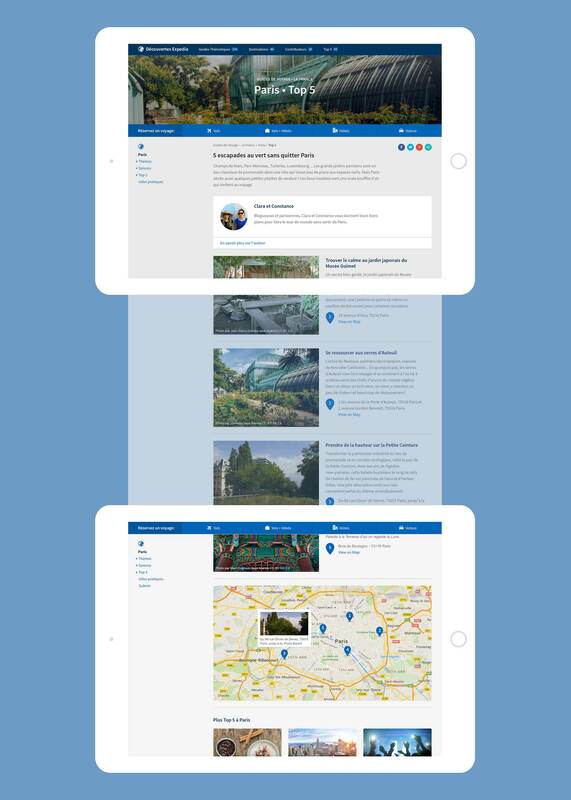 The editorial Travel Guides section of Expedia.fr required a much-needed facelift to brings its team’s content to surface. 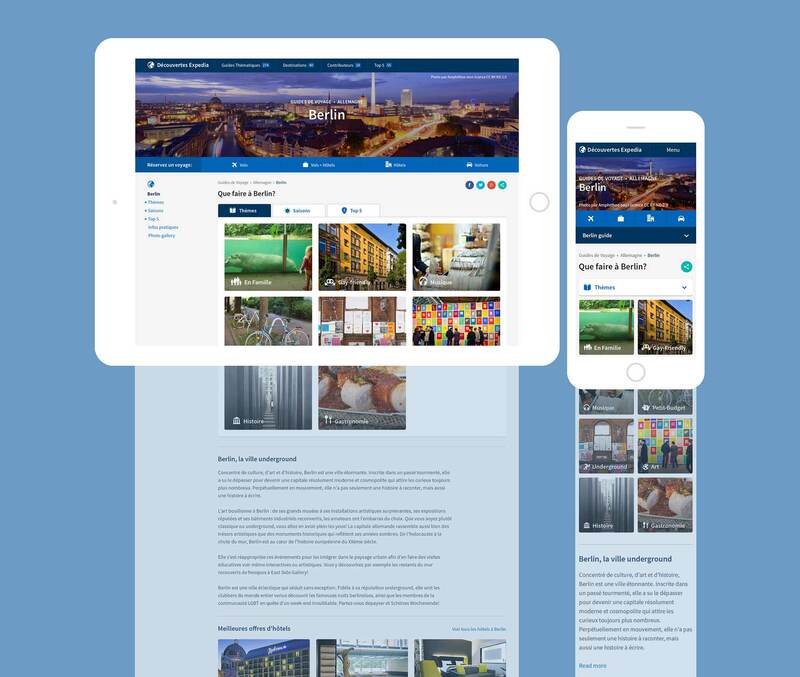 Tasked to restructure the content hierarchy and determine the best UX, it was imperative to create a separation between the main site navigation and their own secondary navigation to showcase their growing content in a more accessible way. 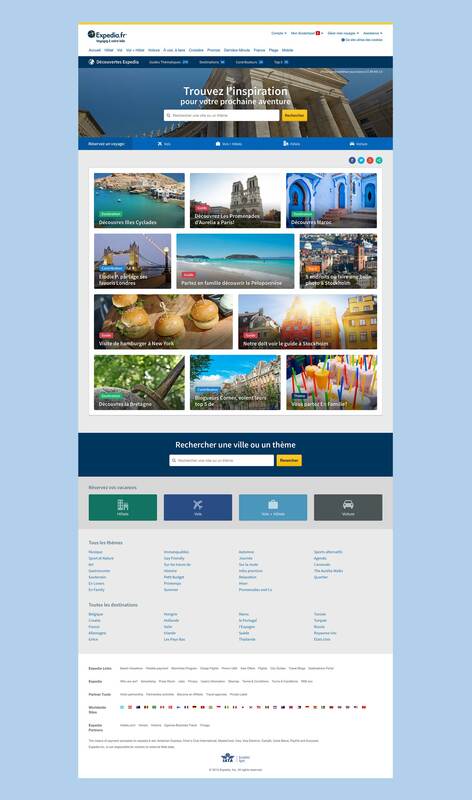 Extending on Expedia’s visual design direction, a new solution for the typical booking widget was also incorporated.